Guys, I’ve been waiting for this snow storm all winter! We were supposed to head upstate to visit my family this weekend, but the impending snow storm has us firmly parked at home. I don’t know the last time we spent 48 hours in our house without leaving, so this is going to be an adventure! In my head I’m thinking of cozy movie watching on the couch, roasting something aromatic and delicious in my oven, and just generally snuggling up with Mr. Big. The reality is: this weekend could completely derail ALL the progress I’ve made in 2019. Not a lot of activity or movement, convenient access to a kitchen full of snacks – this could be bad. Which is why I’ve decided: this snowstorm is NOT an excuse to give up on myself for two days. What about you? 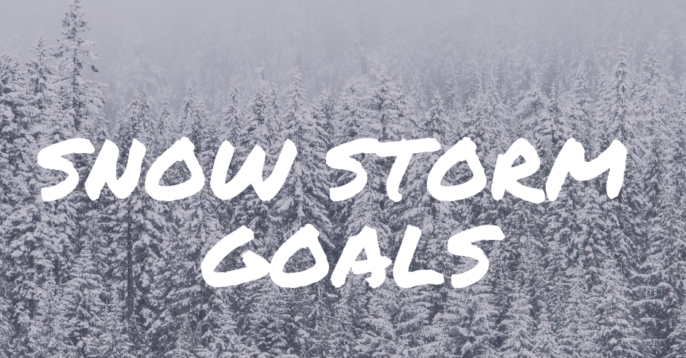 How are you staying on track through the snowstorm (this one or another)?